Before starting, verify you have the Opinion Stage WordPress plugin installed. 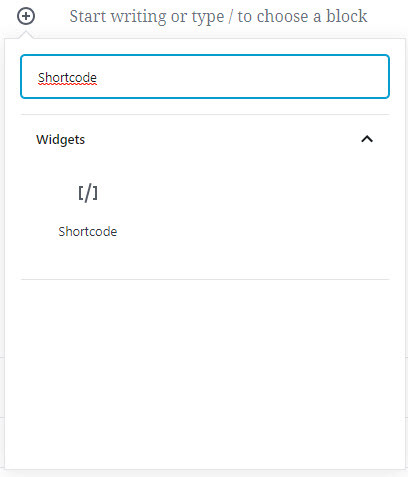 There are 2 options in which you can embed & share items to your site using the Gutenberg editor: use the Opinion Stage Gutenberg blocks or use the Gutenberg shortcode block. 3. 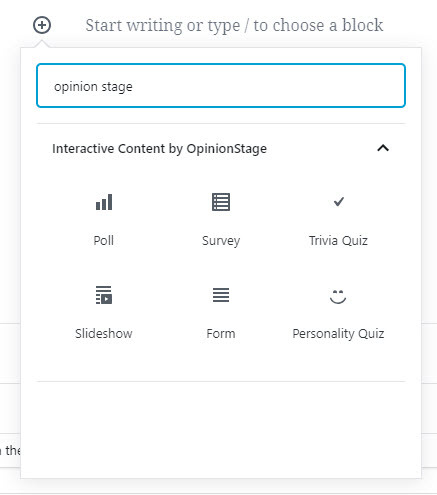 To create a new poll, click the "Create a New Poll" button. You will be redirected to the poll creation form to create your poll. After you complete creating your poll, you can click the "Select a Poll" button and find it in your list of polls.